Could Your Withdrawn Child Have Reactive Attachment Disorder? Reactive Attachment Disorder (RAD) is an uncommon but serious childhood disorder. To understand disorders of attachment, it is important to understand Attachment Theory. Studies have confirmed what parents have known for thousands of years; in order for a baby to grow up and become a healthy and well-adjusted adult, he or she must be cared for and nurtured consistently from birth. A newborn infant is totally helpless and dependent on his/her caretaker for food, clothing, and shelter but even if these are provided it is not enough. Human beings (and many animals) also require nurturing and loving care from a consistent caregiver in order to form connections and attachments to other people. The caretakers of an infant have a huge task that rises above simply providing for the baby’s basic needs. They must also touch, talk to, and interact with their baby as well as to be there to comfort him/her consistently. This consistency allows the baby to develop trust in his/her caregiver, which results in the baby forming a healthy connection or attachment to the caretaker. The biological basis for this is that the baby has a higher chance of survival if he/she has a trustworthy caregiver. As the baby becomes older, he/she develops an ability to attach to other people. Attachment theorists have shown that attachment to people is the basis for developing empathy. Empathy is the ability to place oneself in another’s shoes and experience their feelings. If a person did not get the opportunity to connect to a caretaker, they do not learn how to empathize. The ability to empathize and connect to other people is also thought to be required for the development of a conscience. The formation of an identity that includes a sense of self worth, competency, and a balance between dependency and autonomy (Keck & Kupeckney, 1995). The ability to self-regulate, which results in effective management of impulses and emotions (Bowlby, 1982; Cole, Michel, & Teti, 1994; Hughes, 1997). Development of a pro-social moral framework that involves empathy, compassion and conscience (Bowlby, 1982; Keck & Kupeckney, 1995). The development of healthy defenses against stress and trauma, which incorporates resourcefulness and resilience (Masten & Coatsworth, 1998). The ability to foster positive peer relationships (Lieberman, Doyle, & Markiewicz, 1999). B. The disturbance in Criterion A is not accounted for solely by developmental delay (as in Mental Retardation) and does not meet criteria for a Pervasive Developmental Disorder. D. There is a presumption that the care in Criterion C is responsible for the disturbed behavior in Criterion A (e.g., the disturbances in Criterion A began following the pathogenic care in Criterion C). There are thought to be two types of RAD. The inhibited type presents as a child who is withdrawn and does not bond with or attach to either caregivers or peers. The disinhibited type presents as a child who is overly friendly and poor judgment and inappropriate boundaries with others. Studies show that both subtypes are associated with functional impairments throughout life. However, there is emerging data that children may have features of subtypes rather than one or the other. Why are children with Reactive Attachment Disorder so impaired? Because the individual with RAD has difficulty connecting to others, their value system is often severely impaired. As discussed before, the normal child treasures positive care, statements, and rewards so will model their behavior after their caregivers. There also appears to be a biological component to children’s behavior – on some level, children understand that they have a higher chance of survival if they are pleasing to the caregiver. As children go out into the world they learn to model their behavior to other authority figures and to peers in order to please them and to receive rewards. Most of the time, this modeling is a positive process wherein children learn to be positive members of society, with good values and behaviors. Eventually, normal children will internalize or “absorb” these values and will be increasingly self-regulating as they mature. However, RAD children do not value their caregivers and often distrust them due to previous negative experiences. Therefore, they do not model positive behaviors, and are often not motivated by the typical rewards that most children seek (e.g. praise, privileges, or material items). They may be uncomfortable with affection and reject it. Since they experienced poor care, they learn to be somewhat “Darwinistic” and see the world as a place where they must take what they want by whatever means to survive. Many have not internalized social rules and regulations, so do not try to control impulses to break rules or laws. If people obstruct their goal, they may use negative means such as aggression to get what they want. 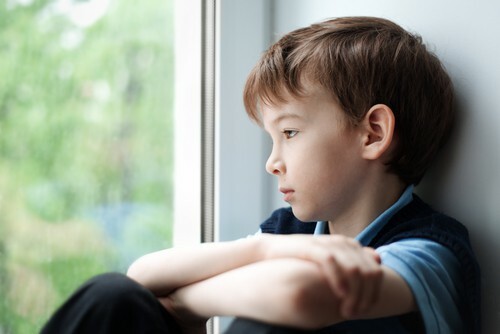 From their standpoint, their behavior is logical, with the attitude (conscious or unconscious), “No-one cared about me, so why should I care about anyone?” Therefore, RAD children often have severe behavioral issues. Because they are not motivated by caregivers’ displeasure or psychological distress, are not motivated by the usual methods of behavior management, and will go to great lengths to get what they want even if it may include breaking laws or using violence, they can be very challenging to work with and treat. Unfortunately, there is no magical cure for RAD. Because it is an acquired disorder and occurs during critical periods of brain development, there is no medication or medical treatment that can “cure” the illness or reduce the symptoms. However, children with RAD often have additional psychiatric problems. It is important to treat these comorbid disorders, which can include mood disorder, anxiety disorders, learning disorders, and other behavioral disorders, and substance abuse, to name a few. There is not standard treatment for RAD, but some therapies that can be helpful include behavioral therapy, parent training, individual psychotherapy, and family therapy. Some children require residential treatment, which is a structured living environment away from home that provides a contained environment, individual, family, and group therapies, and on-site schooling. This can be an effective intervention, but is often quite expensive and difficult to obtain through medical insurance plans. At times, if the RAD children have severe impairments in their academic functioning, they may be approved for residential treatment through their school. There are several controversial, dangerous, and unproven treatments of RAD. The American Academy of Child and Adolescent Psychiatry, the American Psychiatric Association, and the American Professional Society on the Abuse of Children have all criticized these therapies as causing harm to the child, psychologically and/or physically. Some unproven treatments for reactive attachment disorder include reparenting or rebirthing, where the child with RAD is “regressed” to infancy with the idea of repairing the damage that was done in early life. Some types of therapy are aversive and will recommend withholding food or water or attempt to coerce the child into submission to make them feel dependent on the caregiver. Another controversial therapy is wrapping or binding children while making them give eye contact. Studies that look at these types of therapies show poor outcomes and some therapies can be traumatizing. There have also been some accidental deaths due to these techniques (for example, suffocation due to binding or wrapping a child). RAD is a severe childhood disorder that is thought to be caused by severe abuse, severe neglect, or unstable caregivers in early childhood. There is some controversy as to how and why it develops as well as the criteria for diagnosis. What is clear is that the emotional and behavioral issues associated with RAD can be devastating to families raising RAD children. Furthermore, RAD children grow into impaired adults. More research is needed to better understand this complex illness and to find effective treatments. The authors address the most pressing and challenging issues faced by parents of children with histories of disrupted attachments. –Sir Richard Bowlby, Attachment Advocate.